We are always delighted to welcome Masons in good standing to our meetings and would be happy to discuss Freemasonry with prospective members. Our Lodge supports the Berkshire 2023 Festival which raises funds for many charitable needs. 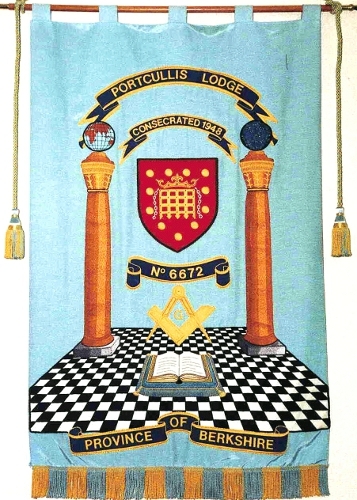 For Lodge program schedule look under the About Portcullis header. Celebrate 300+ years of Freemasonry with us. In this web site we'll explain something about Freemasonry and Freemasons in general and about our Lodge in particular. You'll see where we meet as Freemasons, the dates and times of our meetings, a little of our history and some recommended masonic reading.